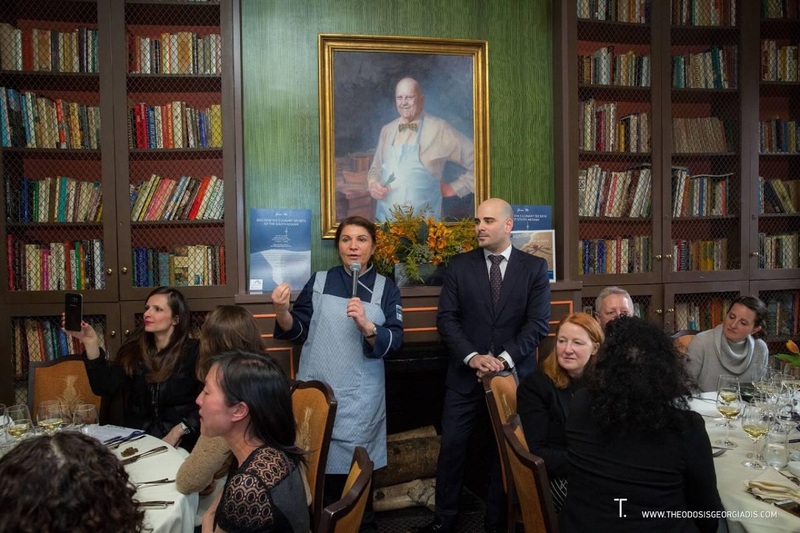 Traditional products and recipes of the Aegean’s Cyclades and Dodecanese islands, including legumes, seafood and herbs, were recently presented in New York during a special event at the James Beard House in NYC’s Greenwich Village. The event presented a special menu that highlighted the richness of Aegean cuisine, which was created by award-winning chef and Ambassador of South Aegean Gastronomy Argiro Barbarigou, as well as members of Les Dames d’Escoffier, a non profit organization active in the fields of food, fine beverage and hospitality. 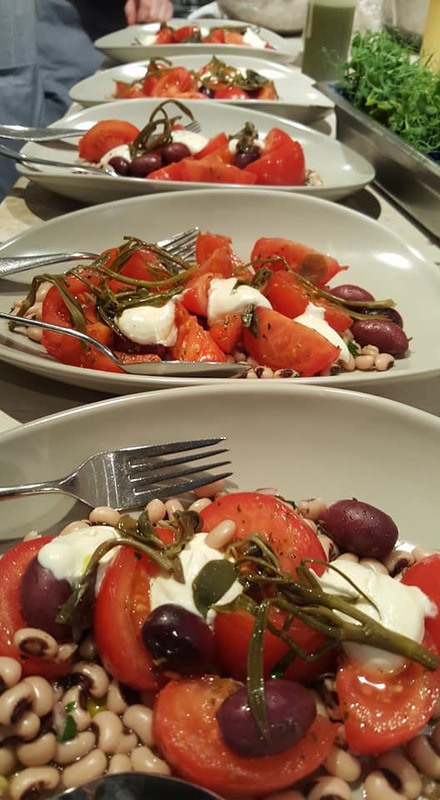 The menu included fava bean purée with caramelized onions, capers, olives, and extra virgin olive oil; “fouskoti bread” with extra virgin olive oil, carob, saffron, anise, and flax seeds; “ntomatosalata”, a tomato salad with black eyed beans, caper leaves, cycladic samphire cheese, extra virgin olive oil, and oregano; “kakavia”, the ancient Greek fisherman’s soup; “revythada”, a chickpea stew with taramasalata and spicy saffron shrimp and many other specialties. 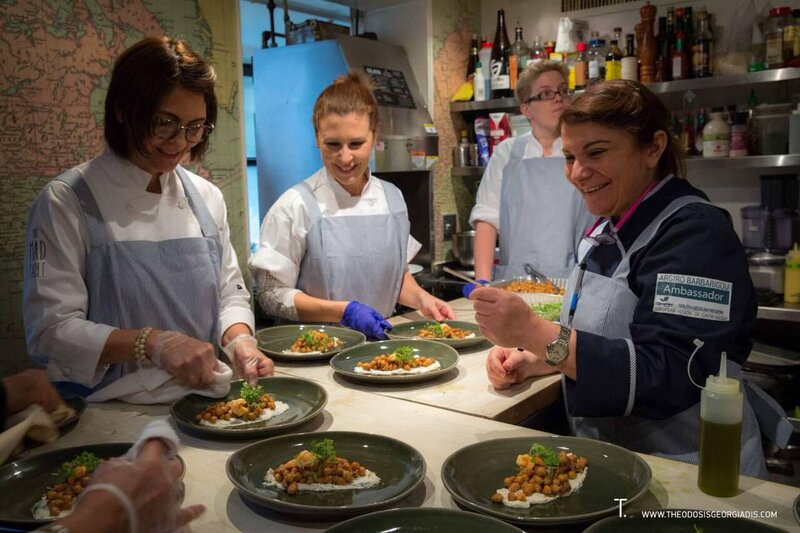 Moreover, during the event, Heidi Lazani, Head of the Executive Committee Board of the South Aegean Region – European Region of Gastronomy 2019, presented the “Taste the Seasons” program, which gives visitors to the islands the opportunity to learn more on the traditional gastronomy of the Cyclades and the Dodecanese and sample local recipes and products. 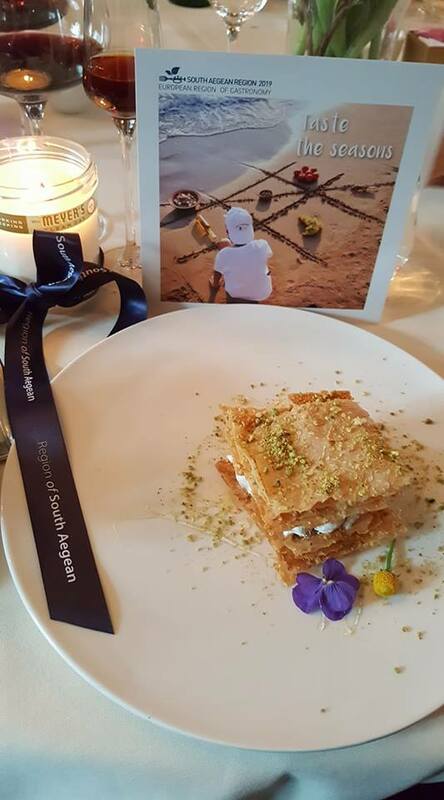 The event was also attended by the director of the Greek National Tourism Organization office for USA & Canada, Grigoria Kamaterou and young chef Spyros Kouyios, the South Aegean Region representative in the European Young Chef Award 2017 competition.